If you’ve just moved into a new home, you might be trying to find clever, innovative ways to really make the house your own. It’s important to put your own stamp on things to bring in a touch of your personality, and a new headboard for your bed is a great way to do just that. But let’s be honest here – headboards aren’t always cheap, and they’re not always interesting either! Well, the good news is that there are plenty of different ways you can make your own DIY headboard – for free – using old materials! An old ladder mounted horizontally to the wall above your bed brings a rustic touch to any bedroom and best of all, it’s added storage space too! The ladder can double as a set of bedroom shelves, holding any types of decoration you like, including candles, ornaments, books or photo frames with pictures of your family. Blackboards aren’t just for the classroom! 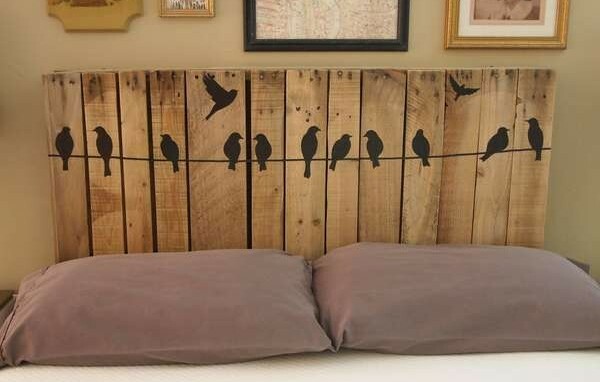 In fact, they can actually be transformed into great headboards that are just as effective as any other! Getting up and leaving for work early? Why not scribble a note on the blackboard that your partner will be able to see as soon as they wake up in the morning? Love the steampunk trend? Then why not bring steampunk to your own bedroom? 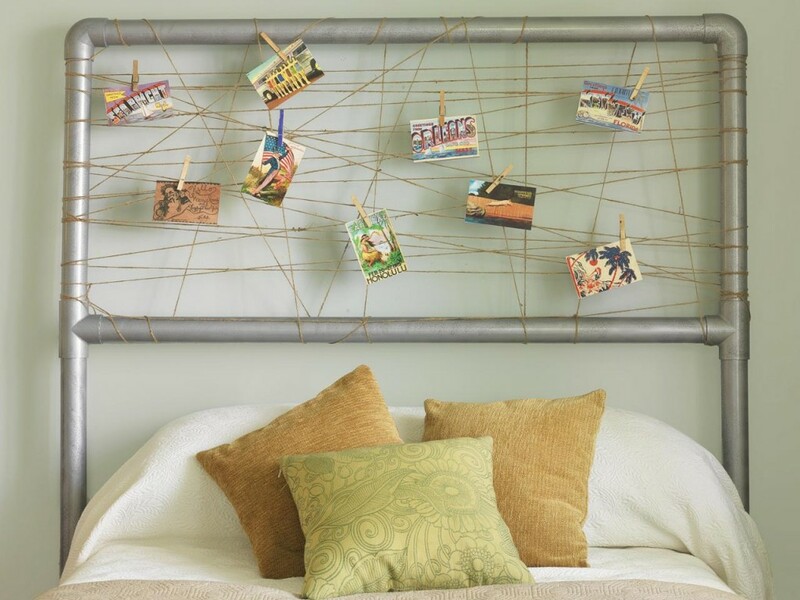 Some old bits of pipe joined together can help to frame your bed and really make it the focal point of the room. You could even weave some fairy lights around the pipework for some mood lighting that’s perfect for the winter. Is your new bedroom not quite as big as you would have liked? No problem! 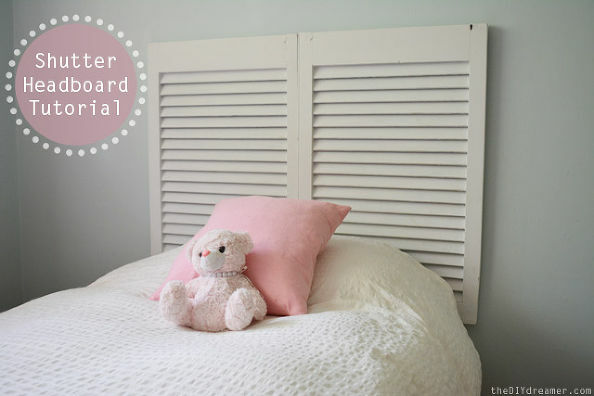 It’s actually very easy to give the illusion of more space with a shutter headboard. Simply place wooden window shutters above your bed – and maybe some curtains too – and it will look like you have a whole other en suite room! 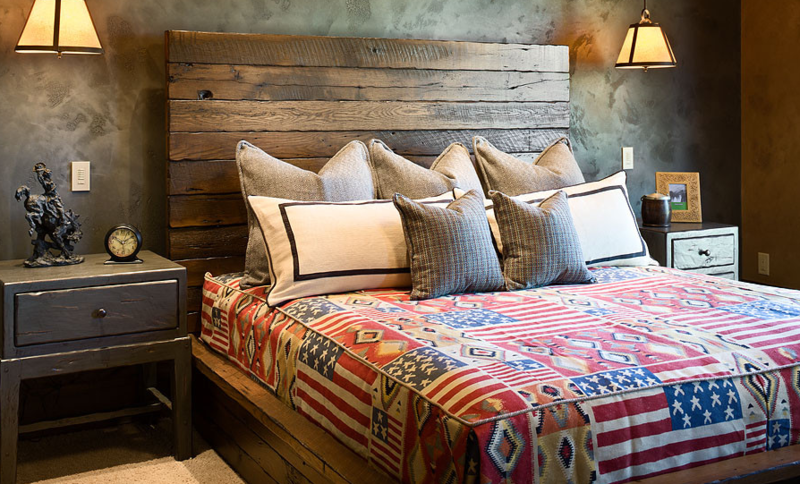 Like ladder headboards, pallet headboards bring a touch of the rustic to your bedroom – a real raw, back-to-basics feel. If you’re feeling creative, you could even use the plain pallet as a blank canvas, drawing up your own unique design. How about birds on a wire, or even some silhouette balloons? If you’re looking for something a little lighter, stickers are a perfect way to add a splash of style to your bedroom. Wall art stickers come in a huge range of colours, shapes and sizes, so whether you are looking for a stylish addition to your own bedroom, or perhaps for the children, there is something to suit everyone. If you want to add a peaceful touch to your room, then opt for a nature-inspired sticker, or for a more modern look, you can choose from minimalist patterns or monochrome illustrations. Sprucing up your bedroom and bringing in a touch of your own personality doesn’t need to be expensive… it just means you’ll need to be creative, be imaginative and think outside the box! There are plenty of old materials that could be transformed into amazing, unique, one-of-a-kind headboards with the right care and attention. 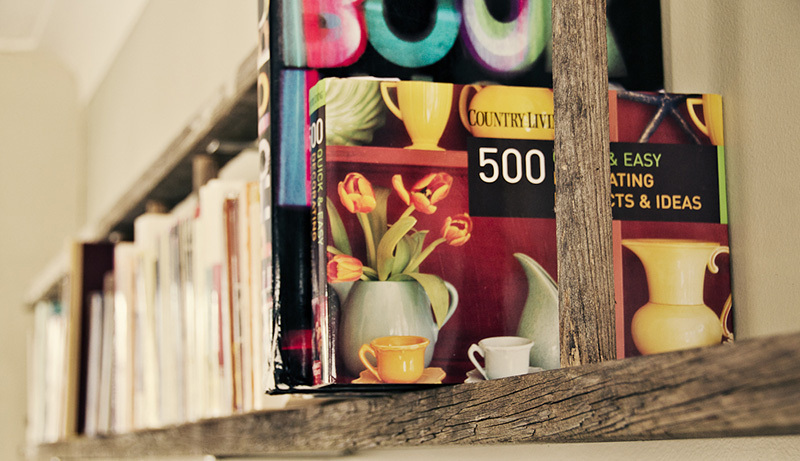 Along with the ideas above, why not consider making a headboard out of all your favourite books, old pillows, or even out of wooden boat paddles? There’s really no limit!